When searching through music catalogs leaves you frustrated with no results, it's time to get creative with how you source the perfect soundtrack. There are a lot of great ways to find music for your projects. One of the most popular ways is to use an archive of royalty-free music. This can be a great resource at an affordable price, usually filled with lots of talented and excellent artists. I personally use Epidemic Sound but there are several great options available. The downside to this method is usually the time spent searching for that perfect piece or trying to make a track fit even if it's just close to what you had in mind. While working on their latest film, 1iOpen Productions' Director Viv Smith reached that frustrating point where she just couldn't find the right tracks. That's when Smith utilized a trick that I'm a big fan of, which is to stumble upon local musicians while shooting your project and reach out to them for collaboration. Now, this trick won't work for every project but being aware that this is an option while keeping your eyes open to any opportunities does make this a usable solution more often than you would think. 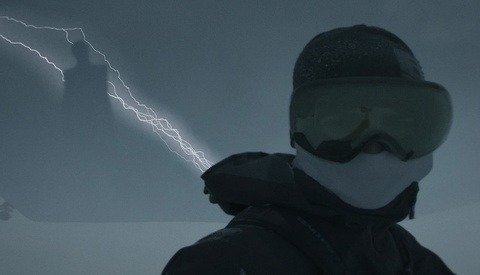 1iOpen Productions' YouTube channel The Crew has been doing an awesome job documenting the extreme conditions they often find themselves in while shooting these films. 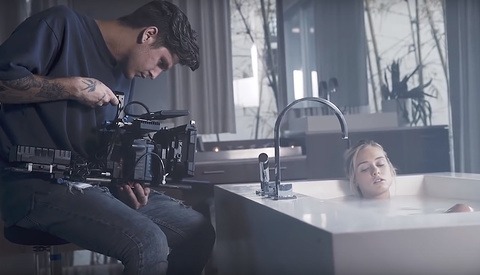 You can check out the 14-part series of behind-the-scenes videos covering everything that went into filming their newest film showcased in the above video. You can also watch the film itself, "Altai Frontier: Ski & Snowboard China's Backcountry," which is an amazing adventure of four professional skiers and snowboarders exploring and experiencing the ancient culture of skiing in the Altai mountains of remote northwest China. Both the crew and four pros encounter traditional skiing and ski making, riding horses, sleighs, and eating home-cooked meals with locals. This, all while being some of the first to traverse the untapped backcountry in China's attempt to create a new home for modern skiing. Don't forget to subscribe to stay up to date on their latest projects. Maybe we should practice what we preach and be willing to pay content creators. Royalty Free doesn't mean Free. While this is technically corrct, it's rather misleading by way of legal-speak (and in this case, technically correct is NOT the best kind of correct). What the average person wants when searching for (royalty-)free music is music which they can use... For free. Gasp!, I know, how dare anyone want anything for free in this late-stage capitalist hellscape in whoch we live. Alas, the indie improv comedy video project for which I TD, for instance, can't afford to pay a royalty or license fee or whatever you want to call it for enough music to fill out our show, much less to cover house music for our in-studio audience. The model that every artistic work being created has more cost-to-use than the best possible income from the including work has to change, and we, as creators of original content, have to change with it. I also know one website where you can find royalty free music - google.